The Comp Laude® Awards recognize Integrity, Excellence and Success in the Workers' Compensation industry. Each year, nominations are received and reviewed by a panel of industry judges. 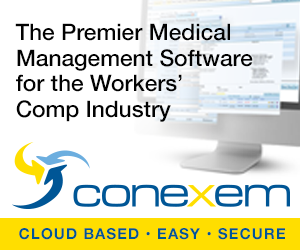 Comp Laude® awards are presented by WorkCompCentral at the annual Comp Laude® Gala. Kimberly George was named the Summa Comp Laude® / David J DePaolo Award recipient for her career dedication to making a positive impact in the workers compensation community. A pillar in the industry, Kimberly leads the way by identifying and defining key issues to watch, improving the experience of injured workers by encouraging an advocacy-based claims model and through her mentoring and leadership as a founding board member of the Alliance of Women in Workers Compensation. See the details of this winner here. A consummate workers compensation and disability professional, Maria has received a Comp Laude® Award for her philanthropic efforts. She is the founder and president of Kids’ Chance California and truly a force of nature. Under her guidance, the young chapter has raised nearly $500,000 in donations and awarded more than 15 scholarships to young adults with a parent who was fatally injured or permanently disabled in a work-related incident. Carolyn is an injured worker, risk manager’s wife, bereaved mother of a brain-injured daughter and tireless volunteer advocate. 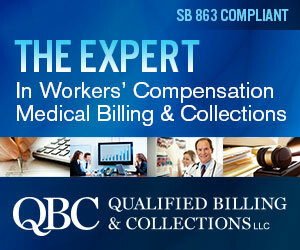 In 2002, she incorporated the Center for Injured Workers, an organization dedicated to training and educating injured workers so they can successfully navigate the complex Texas workers Compensation Act. Carolyn does not draw a salary for her work with the center. Rachel Fikes leads all of Rising Medical Solution’s marketing and communications initiatives. She draws on 20 years of experience in client relations, brand management, creative oversight, content strategy, thought leadership, eld marketing and media relations. Among her responsibilities, Rachel manages the annual Workers Compensation Benchmarking Study, the nation’s only large-scale study that examines how claims organizations address industry-wide operational challenges. Rising manages medical care in the Workers compensation, auto, liability and group health markets. Craig Hospital is an entity comprised of many people who are the collective recipients of the Comp Laude® Medical Facility Award. Kenny Hosack, director of marketing and provider relations, accepted the award on the institution’s behalf.Craig is a world-renowned rehabilitation hospital specializing in the neuro-rehabilitation and research of patients with spinal cord injury and traumatic brain injury. Craig is a not-for-profit, free-standing, national center of excellence that has treated more than 31,000 patients with since 1956. Julie’s pelvis was shattered and her shoulder was ruptured when she was shot at close range on Dec. 2, 2016, during a terrorist attack at the Inland Regional Center in San Bernardino, Calif. Ironically, she was wounded moments after receiving an award for Employee of the Year during a training event and holiday party. Self-sufficiency wasn’t in the cards for Comp Laude® Award winner Jeremy Romero. Born prematurely with hydrocephalus, physicians said he would most likely need disability assistance his entire life. Yet, he de ed the odds and became a police officer. Dawn oversees the workers compensation program covering approximately 60,000 employees in the Los Angeles Unified School District. Her responsibilities include absence management, reasonable job accommodations, return to work and protected leave. Dawn Traverso, dubbed by her colleagues as the “Queen of Comp,” is appreciated for her exemplary performance in workers compensation defense. In addition to fulfilling her responsibilities as a managing partner, she is active in the Florida Bar. She is past chair of its Workers Compensation Section, and a member of the bar’s executive council and continuing legal education section. Robert (Bob) Keefe demonstrates considerable versatility in his role as a workers compensation industry leader, applicant/claimant attorney and philanthropist. Bob has practiced law in Missouri and Illinois since 1979, with a focus on plaintiff’s workers compensation. Over the course of his career, he has personally handled an estimated 5,000 workers compensation cases, including more than 200 trials. He has represented at least 30 permanent total disability claimants. 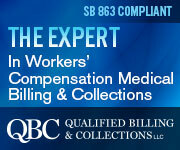 Abigail Hudgens is the Administrator of the State of Tennessee’s Bureau of Workers’ Compensation. Prior to leading the Bureau, Abbie was a consultant in the private sector, a risk manager for Nashville and Davidson County Metropolitan Government, and a risk and benefits manager for the city of Knoxville. She earned a B.A. from the University of Memphis and a M.P.A. from the University of Tennessee. She has also earned an Associate in Claims and Associate in Risk Management from the Insurance Institute of America. She currently serves as the president of the Southern Association of Workers’ Compensation Administrators (SAWCA) and is the Vice President of the International Association of Industrial Accident Boards and Commissions (IAIABC). Becky founded Take Courage Coaching to help those in chronic pain. Her coaching approach offers the latest in pain management and brain science, which helps clients discover their inner strengths and motivates them to make lifestyle choices to improve their experience with pain. When Judge Langham was rst appointed Deputy Chief Judge as head of the Florida Office of Judges of Compensation in 2006, he accepted the challenge and thorough hard work and long hours began to transform the agency into a paradigm for the effective and efficient adjudication of workers' compensation claims. He transitioned the agency into the digital age and promoted the implementation of an e-filing system for claims as well as being instrumental in creating the electronic transmission of records on appeal, thereby reducing paperwork and expense. Judge Langham is a prolific writer and commentator on local and national workers' compensation trends and issues as evidence by his blog "Florida Workers' Comp Adjudication." After working as a receptionist for Kemper in 1979, Dotty found her passion for claims in the early 1980s. She has assisted countless individuals since that time and today works as a Sedgwick claims examiner, servicing one of the nation’s leading retailers. On Aug. 18, 2015, Kayla Frederick was performing her delivery specialist duties. She was driving down a back road outside of Vandalia, MO, when an oncoming vehicle crossed the center line, hitting Kayla’s delivery truck head on. The impact of the accident caused Kayla’s truck to roll. Kayla’s injuries were life threatening and included a traumatic brain injury and massive internal injuries. The doctors painted a very grim picture for Kayla and her loved ones were told that if she survived, she would have a very low quality of life, including being mostly blind, unable to understand conversation, and possibly never walk or talk again. Kayla continues to attend grueling physical therapy and works hard to make improvements at each session. Defying the odds, she is now able to stand and walk on her own. Dr. Tsourmas received his medical degree from Georgetown University in 1978. He then began his own orthopedic group practice, which is known as Southwest Orthopedic Group. He has retired from the clinical practice of medicine since 2016 but remains active in teaching the clinical aspects of orthopedic medicine and has adjunct or affiliate appointments UT System Galveston, Houston & Austin Dell Medical Center as well as Texas A&M University Health Sciences Center.